1989 New Year’s card. 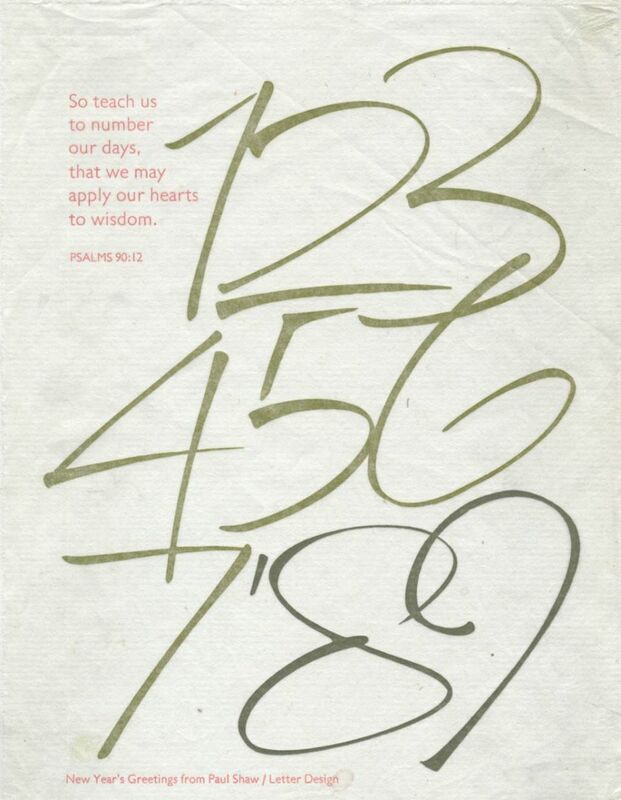 Numbers written with a ruling pen. Text set in Monotype Gill Sans. Printed letterpress on Japanese paper by Peter Kruty at Solo Press. The type was printed in reverse on the back of the paper.